Appearing originally on GIITTV, 21/06/2010; my second ever review for the site. Even with the onboard pedigree of the traversing folk troubadour Matthew Ward behind her, Zooey Deschanel can’t help but mosey towards pastiche, on this the second single from their recent Volume 2 album. ‘Thieves’ is the kind of wistful pining balled that’s redolent with some of the more breezy country music offerings of Linda Ronstadt, and chock full of emotive clichés beloved of US radio stations back in the 70’s. Twangy guitar hooks of the Twin Peaks variety, soothing maligned strings and tear jerking diaphanous crooning do there utmost to cause certain passionate stirrings, but Deschanel’s voice does tend to overstay its welcome – you either love it or find it grating. Maybe I’m being far too ingenuous, as the record is well produced and pleasant enough, even eloquently written and sounding at times like an upbeat female fronted Tindersticks, which isn’t a bad thing. OK I really tried to get through this review without mentioning Deschanel’s already well-documented day job in the movies, yet the two pathways prove inseparable, especially as it totally informs the mood and lyrics. A tale of two desperate lovelorn characters, straight out of a trembling lip western, fight to stay apart with the line “A love like ours is terrible news”, going onto swoon “That won’t stop me crying over you” in resigned desperation. 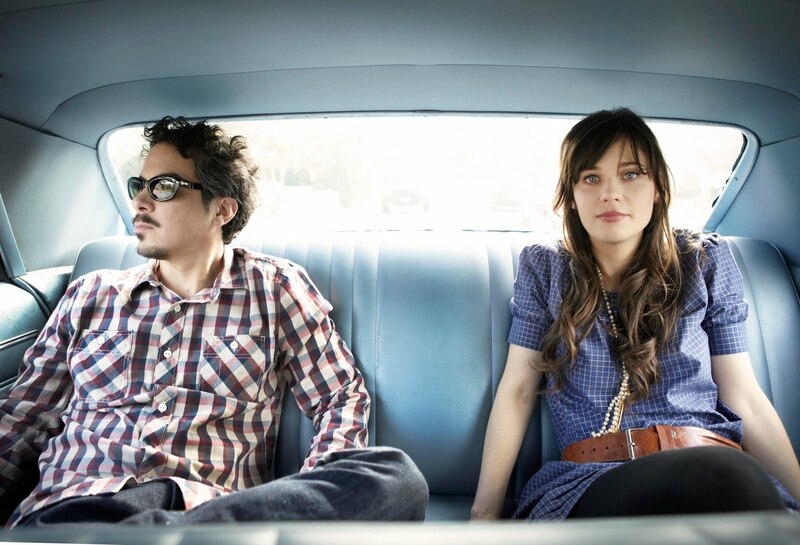 She & Him’s single will further cement the duos twee credentials and tender forlorn prose, but wins no prizes in originality.